I had a ton of stuff planned today for crafts, but now it is too cold to do most of it. 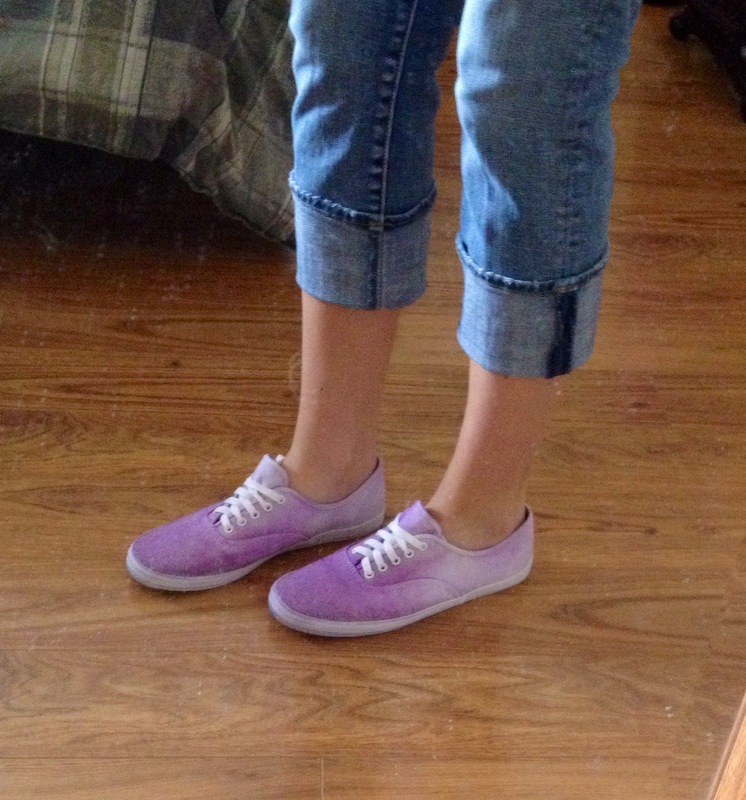 BUT I have these cheap van look-a-likes I bought from Payless a few years ago, and I never wear them. 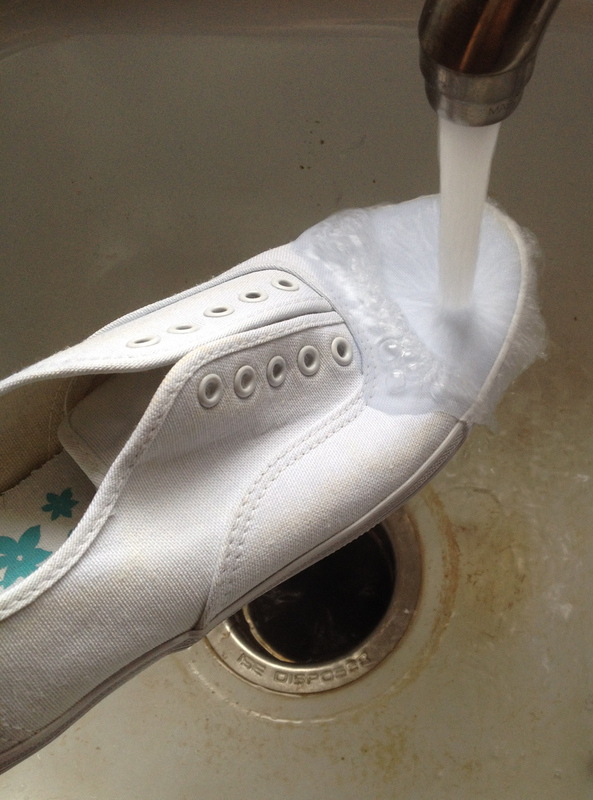 I decided I wanted to try this method for dying my shoes, and see how it works. I figured if it didn’t work I was only out $15. 1) Make sure they are clean, and take the laces out. Place under hot water. 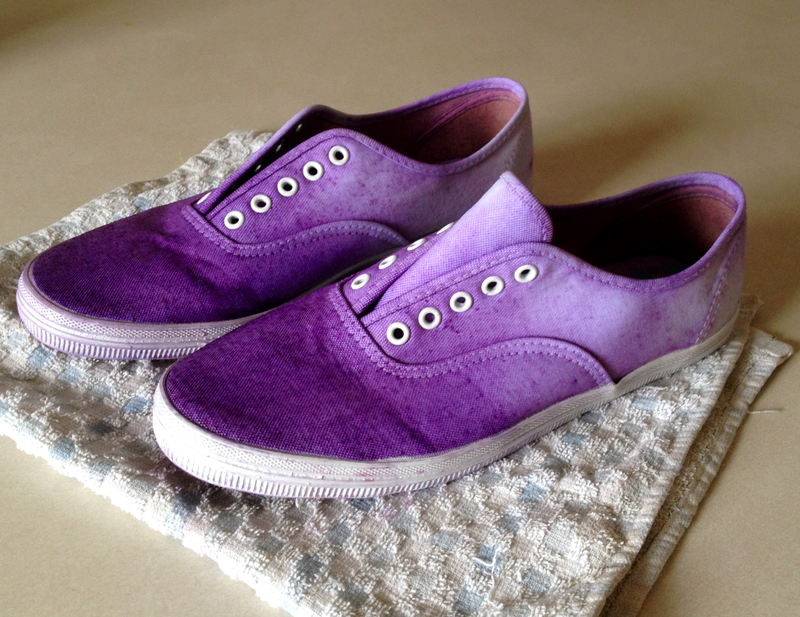 The shoes being wet will allow the dye to absorb more evenly. 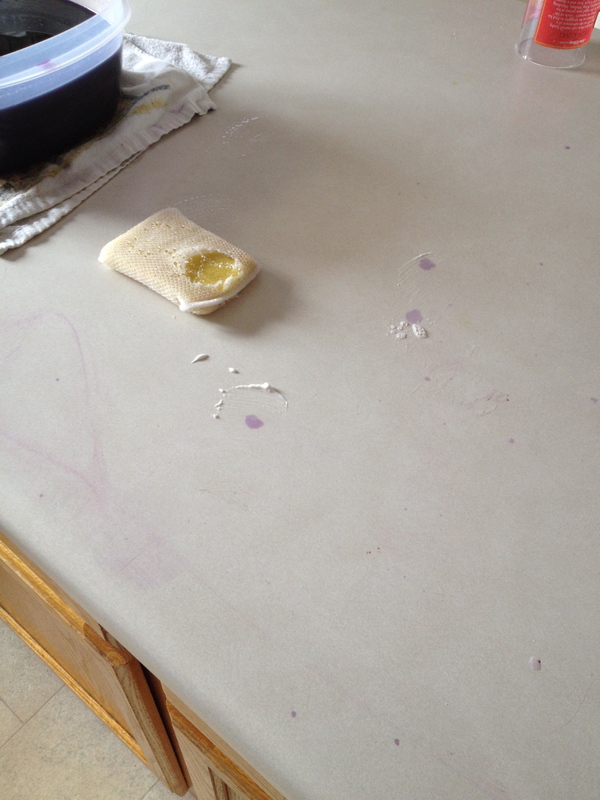 2) Rub vaseline anywhere you do not want the dye to penetrate. It acts as a barrier. I just did the rubber sole. 3) Get the dye ready… for me this was the most confusing part because the instructions were for the whole packet and 3 yards of fabric. The shoes are no where near that, so I just used most of the packet and dissolved it in 1 cup of boiling water instead of 2 like the package said. At this point, I just did layer by layer until I got the color I desired. Next time I would definitely use a deeper container, as this one made it hard to get the sides…I had to put the shoe sideways, which made the two sides not completely even in color. It also did not allow me to keep the back as white as I would have liked. I ended up having splotches and some spots not covered. I just went in and used a sponge for those parts. The clean wet sponge also helps even out layers if needed. 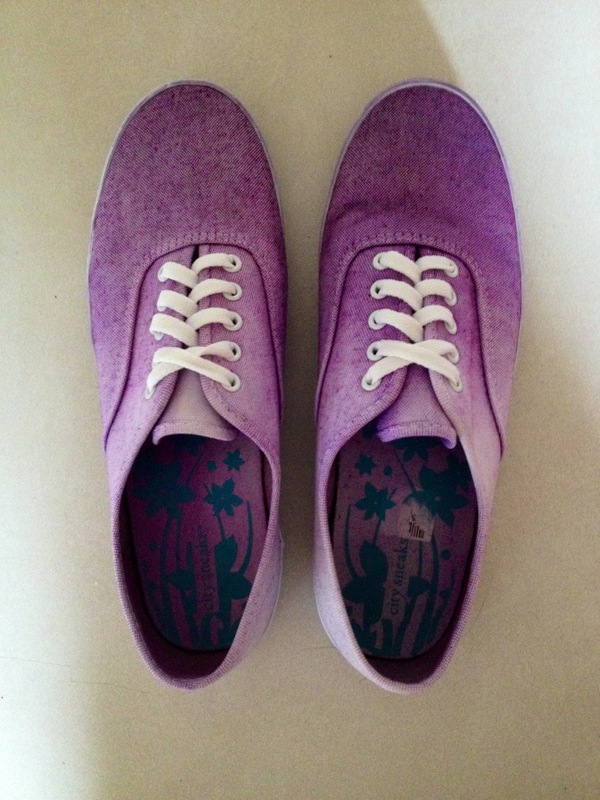 6) Do the same thing to your other shoe. 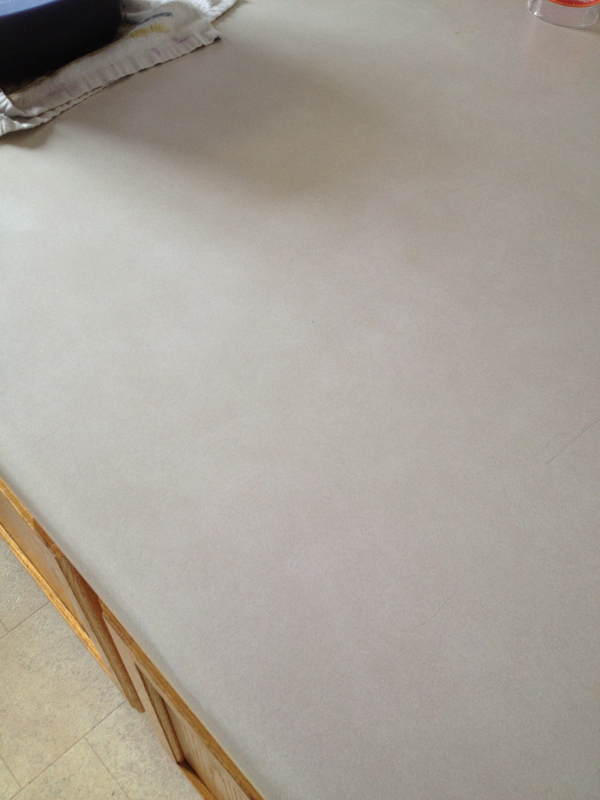 8) Once you are happy with the color and effect you have, rinse with warm water until the water runs clear. Here are mine, still wet. The color here is much more accurate then the photos above. They dry a little lighter, so keep that in mind when you are using the dye. -If you do not already have shoes, you can get them at Payless, Walmart, Target, etc. for cheap. Usually under $20! So this whole project can be done for under $20 bucks or if you already have shoes, under $2!! 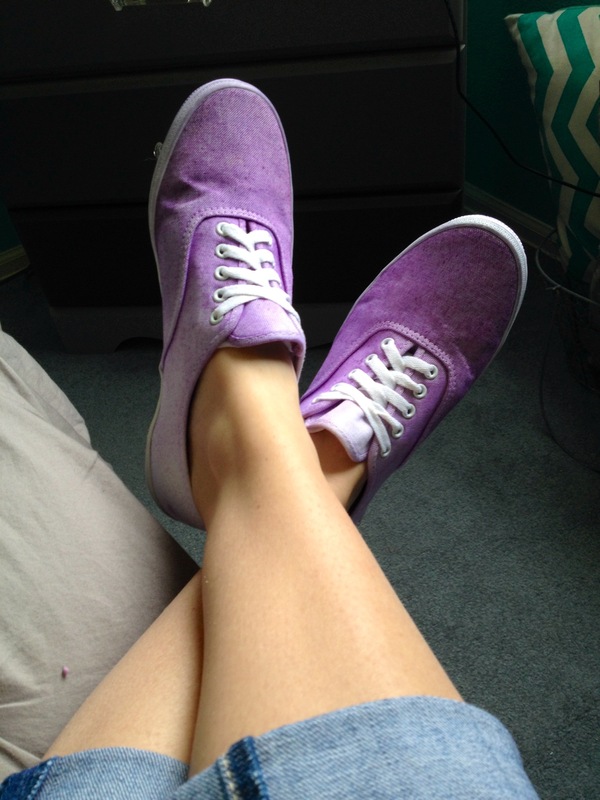 && I turned a pair of shoes I hardly ever wear into something great for spring and summer. Comment below with questions, or link me to your projects using fabric dye. I would love to see them. I was definitely nervous with this project, but the dye isn’t as scary as I thought.